Anyway today I gathered up all my favourite masks that I want to share with all of you. Really excited to take the photos using my new mat as a background from DAISO. It's really cute and fits the spring/summer colours so well! Loving it ! Sorry for digressing! Ok lets start! First I want to say that I don't always have much luck with masks. 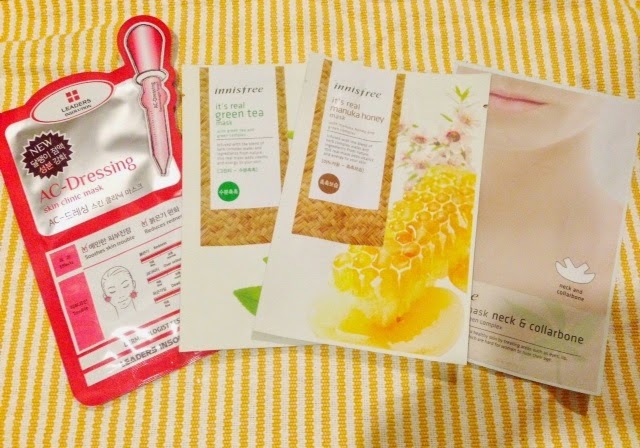 I always break out from using masks because I am usually too lazy to scrutinise every ingredient on each mask sheets etc. So I'm really happy to find these babies which are effective and yet gentle to the skin. This is a wash off type bubble mask with a self bubbling system. It provides deep cleansing and immediate brightening and skin soothing effects. I preferred this over the The Saem Black Pearl O2 Bubble Mask because this really gives instant brightening effect and my face feels really clean without making my skin feels tight. And this only takes 5-10 mins. So I will usually apply this and wash it off while showering. I'm usually cautious when using clay related type of mask because I have dry and sensitive skin and clay type mask are usually too harsh for me. Recently my skin also broke out after trying out the Innisfree Jeju Volcanic Pore clay mask. But this clay mask from TFS is super awesome ! This has got to be the most gentle clay mask I ever tried. Firstly its texture is not as hard and thick as normal clay masks. It is easier to apply evenly onto skin. It has a normal clay mask scent, nothing too overwhelming. And after washing off, I was surprised that my skin was really soft and smooth! However this didn't completely remove all the blackheads and whiteheads on my face but I tried to extract them and it was really easy as its almost like wiping them off from the surface of the skin. This is my favourite out of all the Leaders' masks. This really helps in reducing redness and calming skin. I think Innisfree masks are incredibly awesome! They are so affordable and effective. For face masks, the number one spot for me is the Manuka Honey Face Mask and then the Green Tea one. I love that the Innisfree Masks doesn't leave you with the sticky feeling on your face after removing it. The Manuka Honey mask provides deep moisturising and my skin always feel so soft and supple after using it. I've also tried the cucumber, acai berry and shea butter face ones as well but they don't moisturise as good as the Manuka Honey Mask. I also pick the Green Tea because Green Tea helps soothe and calms skin and this mask also has good moisturing effects. I actually prefer this to the Laneige sleeping mask just by a slight margin. Firstly, it comes in a tube which I feel for sanitary reasons I would prefer this packaging . Secondly, it comes with a soft plastic tip applicator which you can just squeeze out the product and apply directly onto face. It is like painting a wall haha. It first comes out from the tube as a light gel texture but once you apply it onto your face and spread the product, it turns into water like texture. It is really light as though you didn't apply anything on your face and is not as sticky. 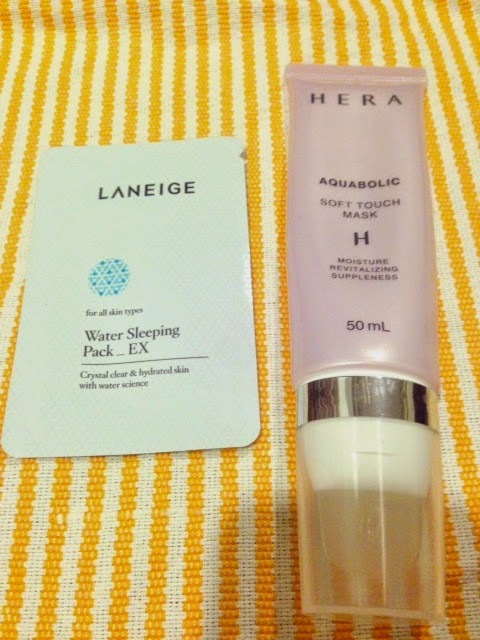 The result is somewhat similar to the Laneige Water Sleeping Pack. It gives great hydration and revitalises skin. Hi there! sorry for the short hiatus. I hope all of you had a wonderful Easter holiday. Recently I've been spending quite a lot on Gmarket on a number of new skincare and makeup products that I can't wait to share with you guys. 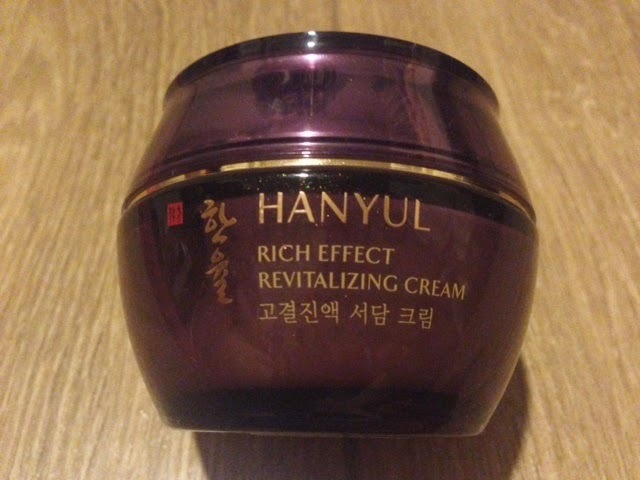 One of the items I got was the the Hanyul Rich Effect Revitalising cream or also known as the 'Seodam' or also the 'Cheon Song Yi' cream! Hanyul is a slightly cheaper option to Sulwhasoo and it is really popular in Korea. 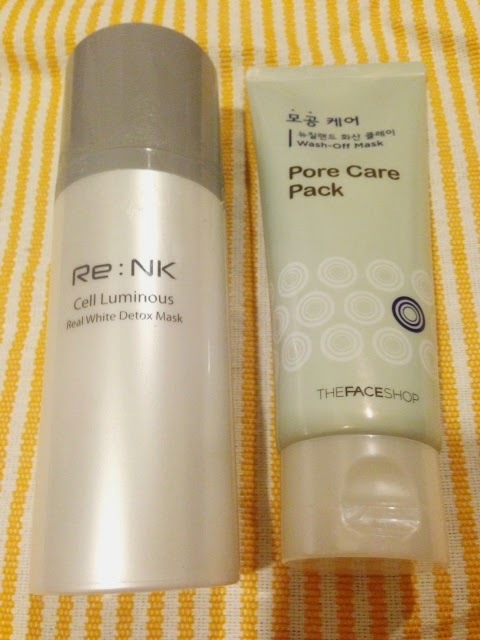 I was researching and reading reviews on Korean anti-ageing creams and really wanted to introduce anti-ageing type of skincare into my skincare routine without having to break my bank account. This is one product that I've seen people talked about quite a bit and also it was on discount! Essentially, the Rich Effect Revitalising Cream is an anti-aging cream that features the use of black beans extract (RFOx). According to the description slip that came with the cream, the Black beans are harvested after enduring frost in the alpine region in Korea and these beans hold a concentrated energy that was built up in the plant while it endured the cold harsh environment to protect itself from the cold. In summary, this cream helps slow down ageing and provide nourishment to the skin, making it healthier , hydrated and more elastic. 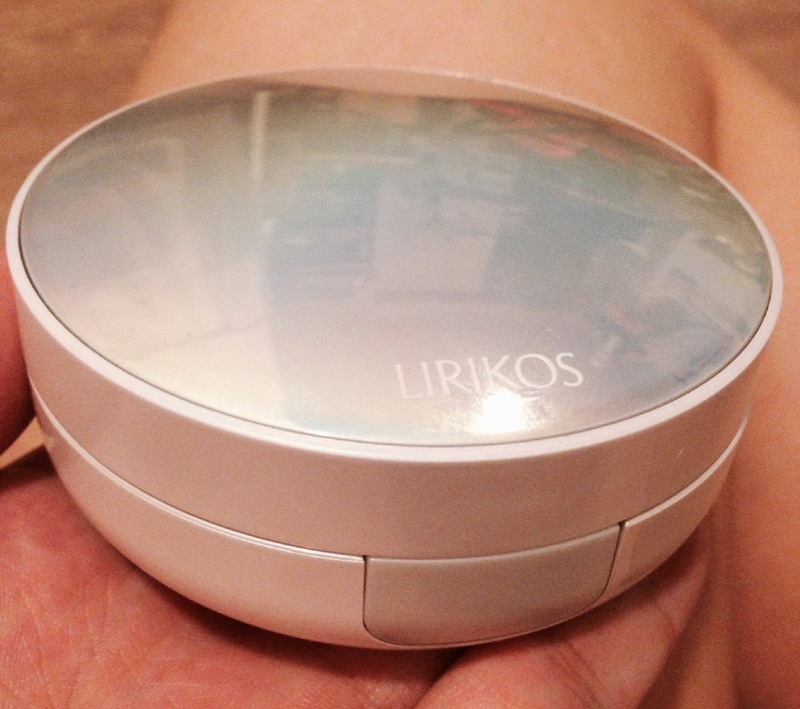 The result is smooth, healthy, radiant skin! I actually heard about this cream since last year on Yellowycream's blog but was a little apprehensive to try it because I know it is a cream that uses oriental herbs and all and I was thinking it sounded similar to the DHC Kakonjuka cream which is made of mushroom herbs. The DHC cream was a total regrettable buy. 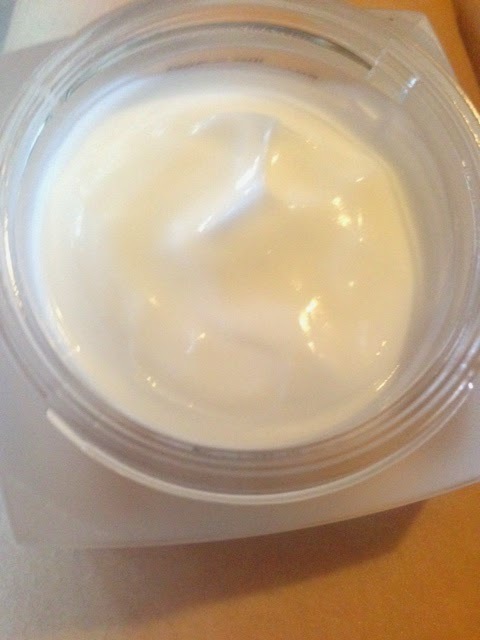 I couldn't stand the smell of it and the cream was really oily and difficult to absorb onto my face. I couldn't even make it past a week. Then while looking through the Amore Pacific shop on Gmarket one day, I realised that I was having a sale and this cream was going for only about 45,000 KRW which originally could cost about 60-70,000 won? And being the cheapo me, I just cart out immediately. And I am so so glad that I gave this cream a chance ! I have to say I like this cream way more than the DHC one. It has a ginseng smell but not as strong as Sulwhalsoo's products. The smell dissipates after afew minutes after applying onto skin. 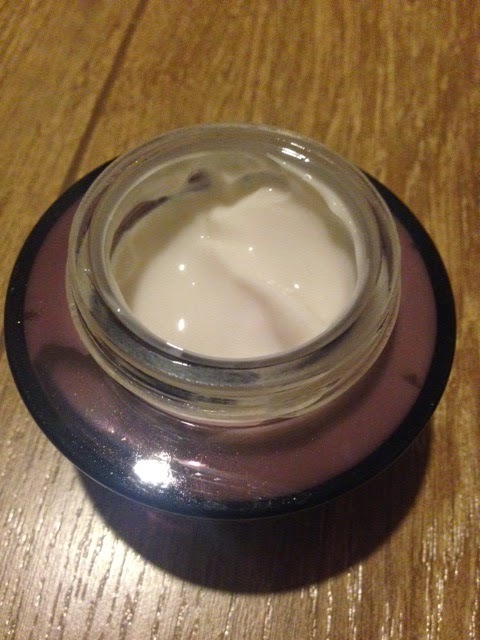 What I like is that although this cream seems rich, it absorbs really quickly and doesn't leave any sticky feeling. Instead, I love to touch my face right after applying this because my face becomes really smooth. I've used this cream every night for about 3 weeks. The lines on my forehead didn't disappear but they did not become worse either. Overall, I feel that my skin tone has improved. I have really yellowy dull skin with persistant redness on my cheeks. Of course I do have to give credit also to Lirikos Marine Triple Treatment which I've reviewed previously if you have not read it. This cream provides good hydration as well. I wake up to well rested skin with no signs of dryness which is good because skin with no proper hydration really speeds up the appearance of fine lines and wrinkles. I've actually purchased a second jar of this because I'm satisfied with it so far given how affordable it is for an anti-ageing cream and I would like to continue to observe the effects of this with long term use. Hi everyone ! I hope it has been a great start to the week for all of you. Today I'm going to share with you 3 Chanel items which I treated myself to as a birthday gift for (sorry wallet!). It claims to brighten up dull and yellow skin tones as well as reduce the appearance of dark spots and pigmentations. I've not noticed any difference in terms of my skin tone because I'm using this only once a day in the morning before my makeup. I make it a point to apply a cream or serum with whitening function at least once a day, because I feel that in sunny Singapore, there's bound to be a certain level of exposure to UV rays even with sunscreen on, so a whitening product can help to regulate the melanin production and keep the spots at bay.. I hope?! Another thing that I'm really in love with this cream is the packaging. 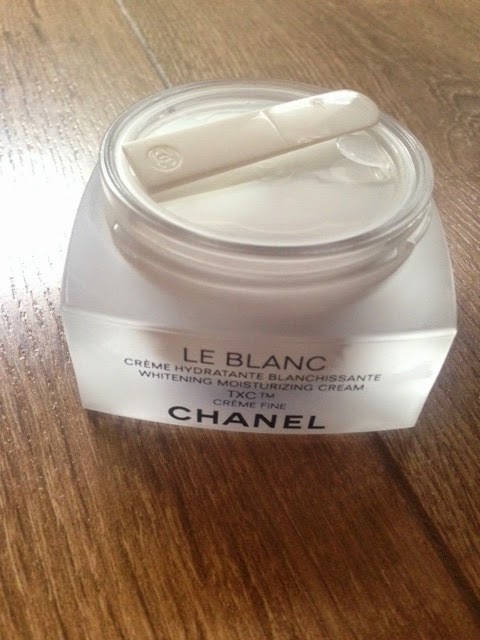 It comes in a typical Chanel classy white frosted jar but the jar lid is made wide enough to hold the spatula that comes with the cream just before closing the lid. I tend to always lose these spatulas at some point for my other creams, so this is really thoughtful n smart packaging for me. What I do not like about this product? The price tag. This cost $150 at Chanel counters. I guess at this price, I expected it to do more wonderful things :P.
I've been eyeing this for a while now. As the name says it is makeup base that contains pearl protein extracts that instantly brightens any dull skin and provides an illuminating effect. I really like this because it just gives a natural yet visible glow. I picked the Rosée shade as it is meant to refresh tired and dull complexions with a radiant dream glow. I also like that it helps to neutralise my yellowy skin tone. 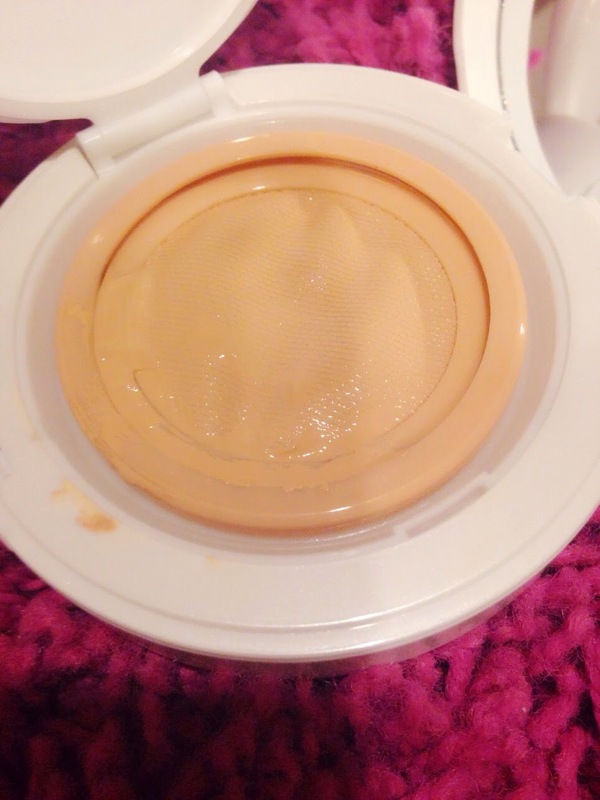 The texture is quite watery but glides on smoothly onto skin and it makes skin looks good even just wearing this alone ! I tried once using more product and my skin got so white I looked scary. So a little of it makes a lot of difference. This powder is super fine and light weight. It has an ultra-protective formula, enriched with cotton flower and white rose plant cells which are soothing and gentle to the skin. Essentially it is a finishing powder to be used as a last step in your skin up routine. It comes in a gorgeous white casing with a brush included. 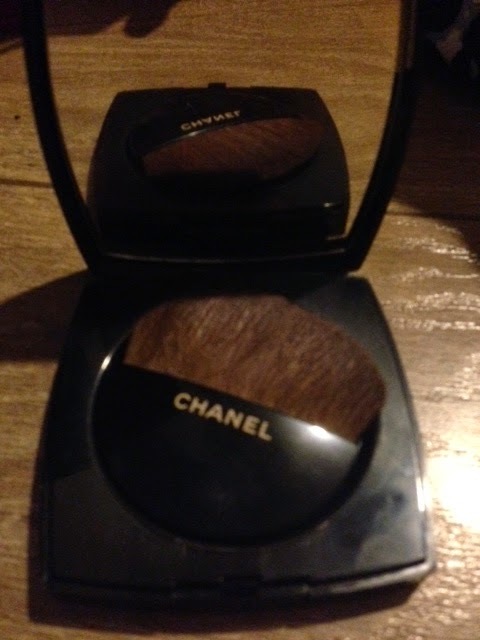 The brush is separated with the powder with a sturdy plastic divider which again makes me in awe of Chanel's packaging! I have mix reactions to this powder. I love that it gives a satin flawless finish with a slight dewy look. However, this does not control oil well. So I wouldn't recommend for those with oily skin. 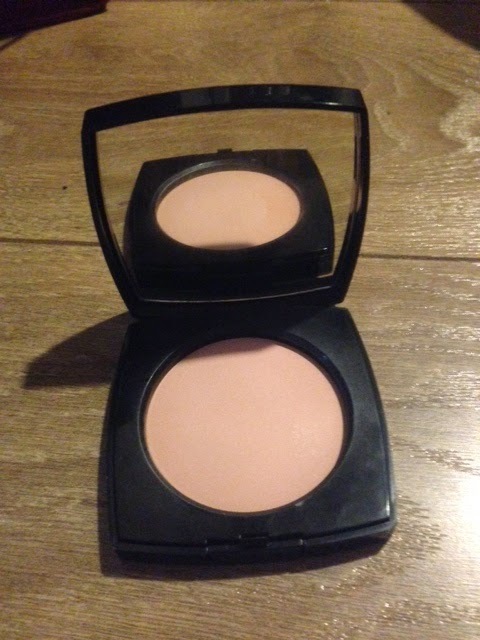 It actually comes in a pretty big compact, so I feel this is probably the best value for money item out of the 3 items I got as I think this can last me for at least 1 to 2 years? This is retailing for about $84 at Chanel counters. 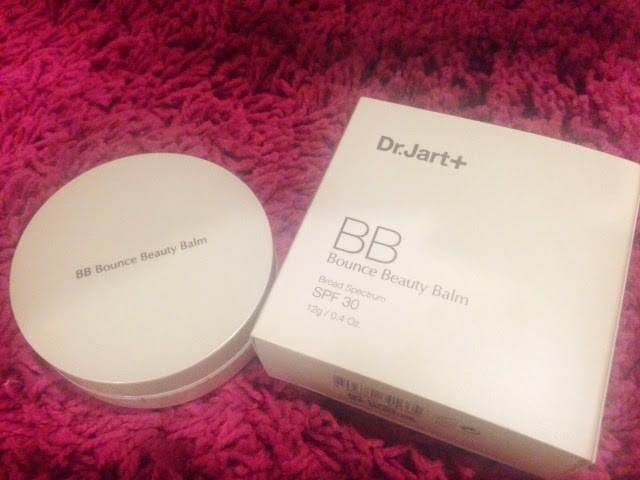 I was really excited when Dr Jart released their new range of bb creams in Singapore last week at most Guardian stores! Dr Jart is noted for its BB creams and I have even read about them in western fashion beauty magazines like Elle on BB cream recommendations alongside the likes of major brands like Estee Lauder and Bobbi Brown. The reason why I have not gotten my hands on one of its BB creams is because I have never like applying BB creams from a tube after the invention of BB cushions ! Blending with a cushion puff makes it 10 times easier then having to blend with fingers. It tends to get messy for me. That is why I was sooo excited when I saw this ! 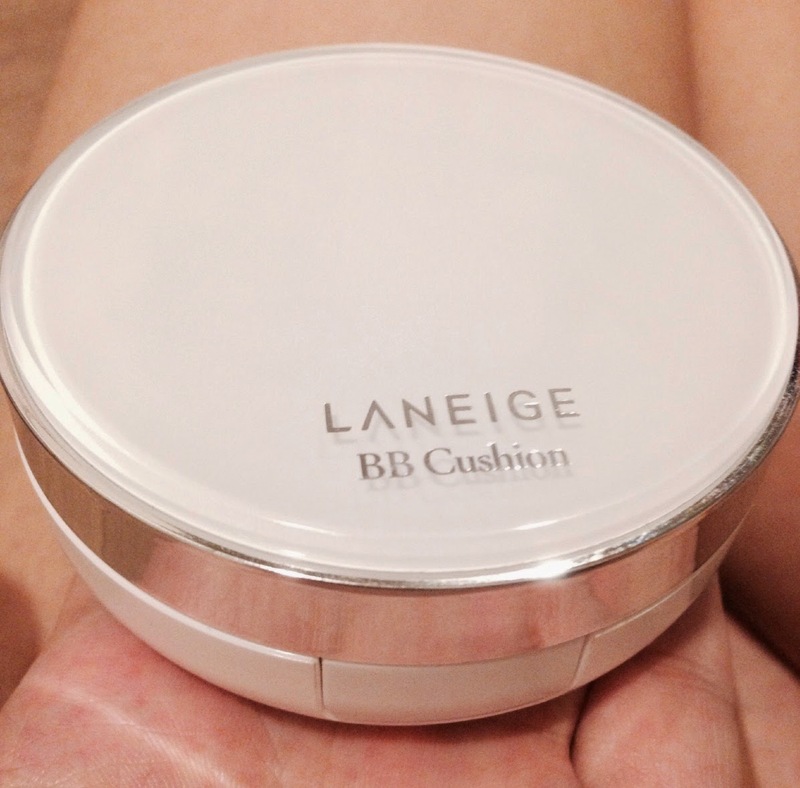 A BB Balm similar to a BB/foundation cushion! Directions: Like how you would use a cushion, you need to just use the puff that comes with it and dab onto the gauze to get the product on the puff. Finally dab onto skin to blend. 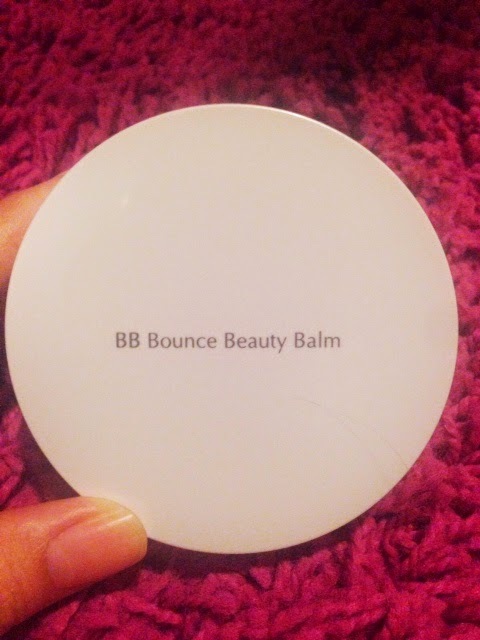 I could not find much information about this bouncy beauty balm which I think is because it is a very new product. I tested this product at the stores twice before deciding to purchase it. What it says on the pack "A unique bouncing formular with rich moisturising and tension provides moist vitality and bounce to tired skin. 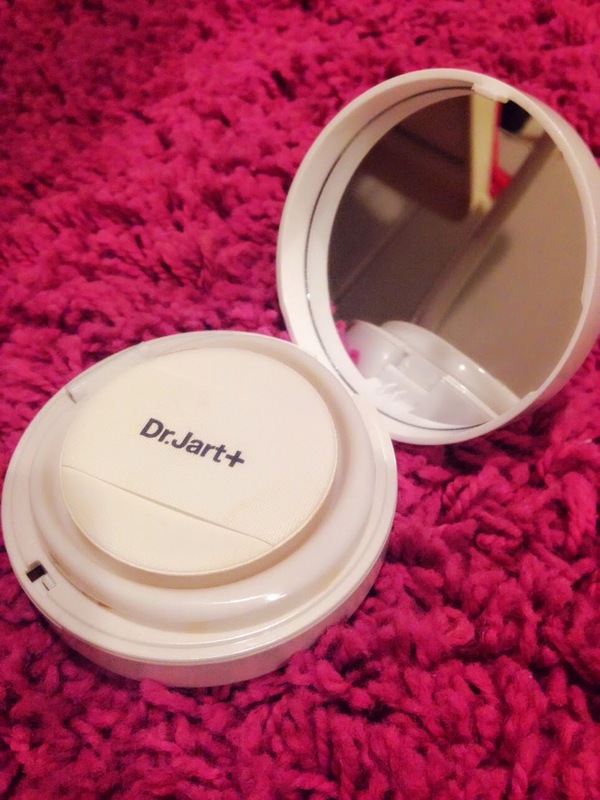 Covers blemishes and pores, corrects uneven skin tone and texture, helps clear and firm." This is a multi-functional touch up Bounce Beauty Balm that has anti-aging properties, brightens skin and UV ray protection. I'm happy to report that I really love this product very much! This is one of the rare bb creams with high coverage and it really gives a flawless finish. Red patches were breaking out on my cheeks for the past week because of an irritation to a new cosmetic product that I'm testing and this actually helps covers up the redness really well and doesn't irritate it further at all which I'm so glad. The texture of the BB is pretty thick and did throw me off a little at first when I tested it at the stores on the back of my hand. I was expecting it to turn cakey and dry. But after letting it set for a few minutes, my hand was sooo smooth and the texture of my skin was wonderful. It last for hours until I got home and my hand didn't feel dry at all. I have combination to dry skin and this BB doesn't dry out my skin even towards the end of day when I get off work. And that is like 8 to 9 hours after wearing it. SPF 30++ is not enough for me but I usually use a SPF50+++ sunscreen before any make up. The gauze doesn't do much to keep the BB in so it looks messy. Yes! I really like the idea of applying BB creams instead of foundations because of its skincare properties. It is great to know that it is good for my skin and at the same time making my skin look good especially in times of skin crisis! This is a saviour for me for the past week as my skin was stinging with irritation.. And I had to cut down my make up routine to just this BB balm and eyeliner. Highly recommend this for those who are looking for high coverage BB with flawless finish!